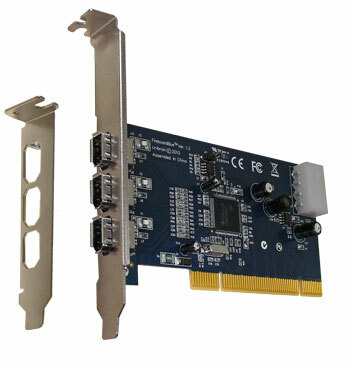 Three (3), 2 external/1 internal, Bilingual 1394b, 9 pin ports at up to 800 Megabits per second (Mbits/sec). 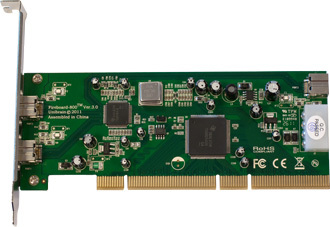 PCI Burst transfers and 11 Kbyte FIFO to Tolerate Large Host Latency. 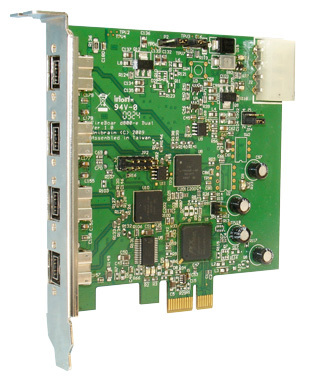 33-MHz/64-Bit and 33-MHz/32-Bit selectable PCI interface. Low profile height, screw lock support. This board is delivered with a built-in hardware key that unlocks Unibrain’s Windows 1394b drivers and acts as a license for FireAPI Development Toolkit.